Just in case you didn’t listen to Matt, Dodge, and Chris, and for some reason you’d only believe it when I said it (haha) you should most definitely check out Bishop Allen‘s new Sufjanic undertaking. They’re planning on releasing an EP on the last day of every month until they release their second album, the follow-up to the brilliantly poppy Charm School. You can download a track from the EP, “Corazon,” from any one of the three blogs mentioned at the top of this post. Also, coincidental? All three of those excellent bloggers are running a contest that can win you a limited edition Belle and Sebastian CD. ALSO: I just put in blogads. Sooo if you want to advertise on my site, click the link under BlogAds on the right! I’d appreciate it. An awfully deceiving name, Deadboy and Elephantmen consists of guitarist/singer Dax Riggs and drummer Tessie Brunet (though they do have other play with them on tour). Riggs was in some metal band called Acid Bath in the 90’s that sounds really awful. Why am I talking about him then? Well he’s changed his ways pretty much. Deadboy sounds kind’ve like…I have no idea really what to compare it against. But I like this track from their upcoming album We Are Night Sky. I think maybe they kind’ve sound like David Bowie fronting the Hold Steady. Which is nice because I hate Hold Steady singer’s voice. Oh and the real reason I looked into them is because they’re touring with the Fiery Furnaces. I thought maybe they’d be wacky and electric but they’re more rock. Check their tour dates here, many with the Friedberger Family Singers. People are going crazy over the Raconteurs. I think it’s okay but I’m not gonna go nuts. If you want to hear for yourself, I Guess I’m Floating has the hook-up. Jack White’s still crazy. I’ll forgive Chris for going nuts for the Racs because today he posted on siren Mariss Nadler. Man that girl can sing. Kill Rock Stars is going to pwn 2006. One of my new favorite blogs out there, Are You Familiar?, mentioned a band a week or so ago that got my attention. Their name caught my attention for all the wrong reasons. I was trying to figure out why he was talking about Doris Day. Were they some of his favorite songs by her? Did she have a new album coming out? My mom raised me watching Doris Day movies and you may have noticed my love for her on my Christmas song list. Anyway I’m a dork and Doris Day is the name of a Canadian band froma small town near Ontario. their songs are great and poppy, and remind me a ton of Broken Social Scene (who, come to think of, I’ve just started listening to;I thought You Forgot it in the People was forgettable background music and like their self-titled album a lot better). So you should check out their songs because they’re great. Maybe they’ll get some attention, maybe they won’t. Dreams of Horses was the subject of much speculation when analysts at several firms were heard to be very positive about it’s recent performance. It’s share price rose from B$2,245.30 to B$3,592.48. Much of the hype was said to originate from Amir whose Oxford Dictionary (artefact) was said to be involved. Amir declined to comment on the recent speculation. Soo Palms Out Sounds has the Diplo remix of the Yeah Yeah Yeahs‘ new single “Gold Lion” off the new album Show Your Bones. Download it here. I like what I hear, and am really anticipating the new album! Also cannot wait for them to tour! Saw them in Oklahoma and loved it. Hopefully they still got it. Also, does anyone have Diplo’s edit of “Maps”? I saw a dead link to it somewhere and would like to hear it. Maybe I could put it up on here if someone had it. Until then, here’s a track that may or may not be on the album, acoustic. Unrelated, but apparently Morrissey’s playing SXSW. Crazy! I wonder where he’ll play at? There are some bands that I don’t understand how they’re not more hyped. 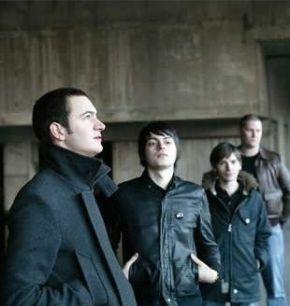 Editors are one such band that has flwon under the radar for far too long now. They played a couple shows in the U.S. which I think helped them get a little more attention. Their album The Back Room has been out for quite a while now. The singer sounds a lot like Paul Banks of Interpol a lot on first listen, but his voice grows more distinct. The sound is similar to Interpol but decidedly more upbeat and frenetic. Of course there are a few slower songs, but they’re still at a stedy tempo. Very great stuff. Bradley’s Almanac has an entire set by the band when they played in Boston on the twenty-second. And I have Jens Lekman to keep me company. I’ve been trying to get my hands on just about anything by him, so if you got anything I’d appreciate it. I saw keyboard pop-star Owen Ashworth (aka Casiotone for the Painfully Alone) back in November I think. The man creates a lot of sound from three or four battery-powered keyboards and a drum machine. He’s got a new album, Etiquette, coming this spring on Tomlab Records. The record is very lo-fi, and easy to listen to several times through. The lyrics sometimes are awkwardly fitting with the music and beats, but overall it’s a great album.